FUNCTION FOLLOWS FORM at the Rigid String Level, with a Pairing-Splitting Dark Matter Black Hole . : Are KiloNova black holes and micro black holes the solution for many astrophysical problems? 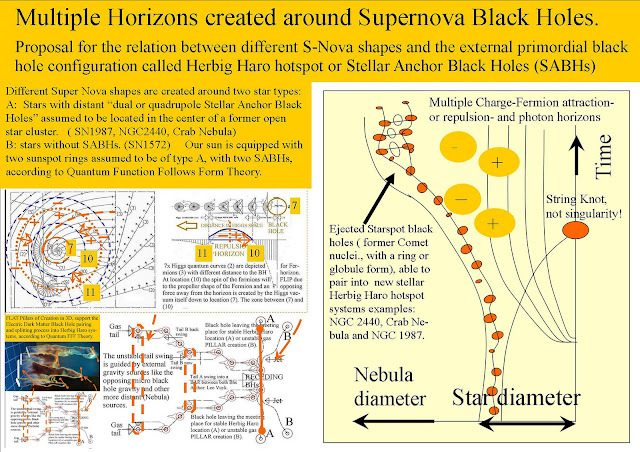 Are KiloNova black holes and micro black holes the solution for many astrophysical problems? 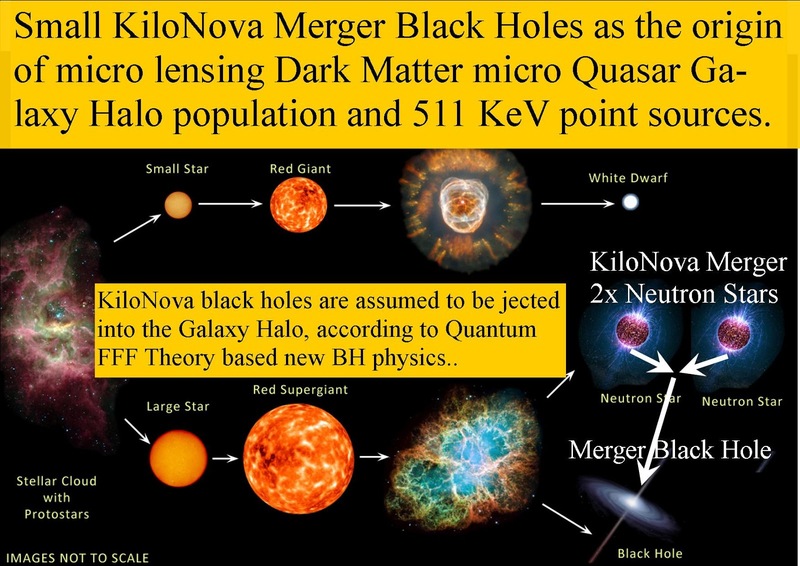 Small KiloNova Merger Black Holes also as the origin of micro lensing Dark Matter micro Quasar Galaxy Halo population and 511 KeV point sources. 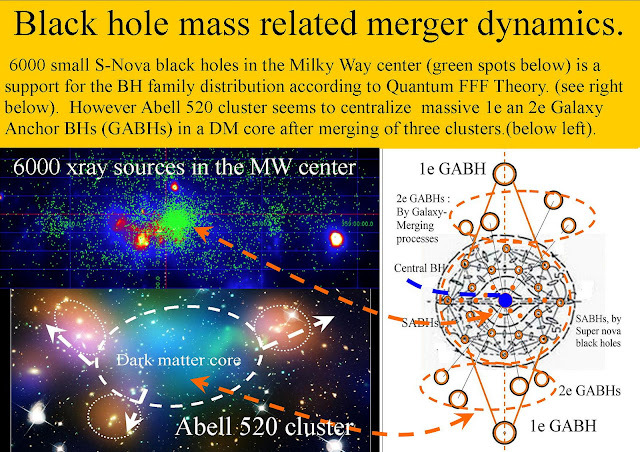 KiloNova Merger Black Holes as the origin of Dark Matter Black Hole Halo population. Our Galaxy halo seems to be crowded with small KiloNova dark matter black holes. Halton Arp was the first astronomer who observed accelerating QSO objects ( Quasi Stellar Objects) out of galaxies into space. 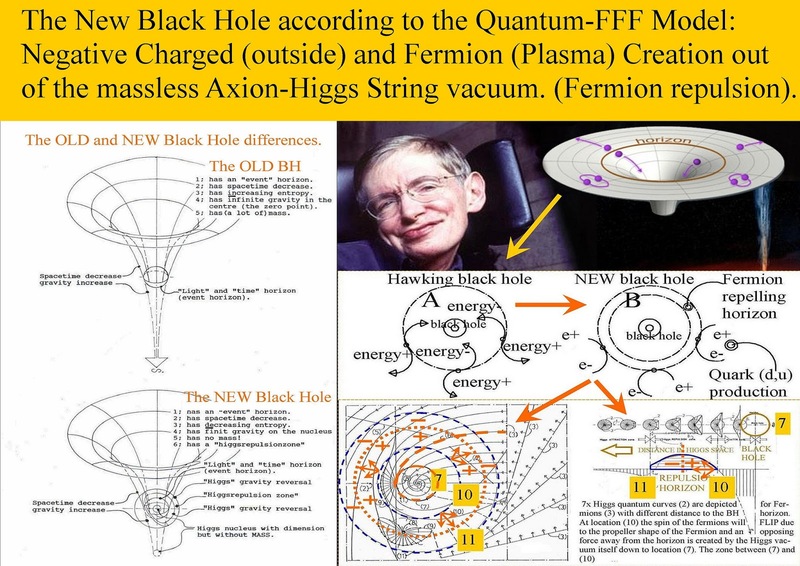 Now we suggest (according to Quantum FFF Theory) that dark matter is the same as black holes small or large , which are assumed to accelerate by the pushing plasma tail away from local gravity centers just like ejected QSOs. At the same time it is assumed that the dark matter structure of the galaxy halo is mainly based on small black holes formed by Neutron star mergers, because they seems to serve as a frequent and real phenomenon. Reason to search for so called gravitational micro lensing events in the MW halo also called MACHOs. so: My proposal is that black holes are knotty strings and the same as dark matter but they come up with different sizes even down to ball lightning as interference string knots. So if lots of neutron stars can merge into small black holes and eject into the galaxy halo, then dark matter could be traced by small lensing events. Conclusion, the vast numbers of merging neutron stars in our galaxy into small black holes are ejected out of the galaxy into the galaxy halo and creating the dark matter effect of the halo. 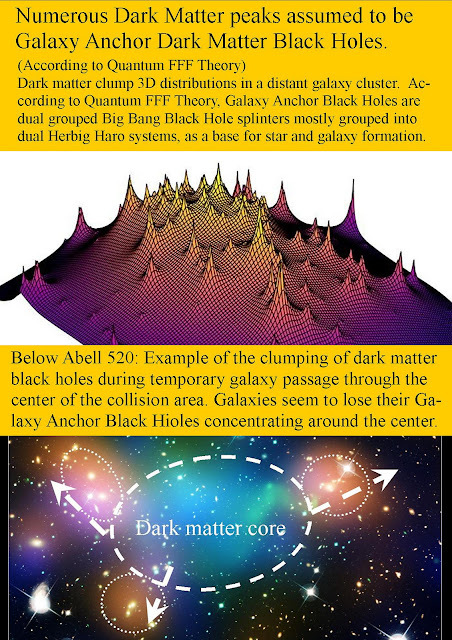 called: "Third gravitational wave detection gives hints on dark matter and black holes." The Guardian wrote under: "Black holes and dark matter"
"Intriguingly, the observations are consistent with one of the more exotic explanations for the nature of dark matter – that dark matter haloes observed around galaxies are made up of a smattering of small black holes"
"I actually find lots of pieces very likely. 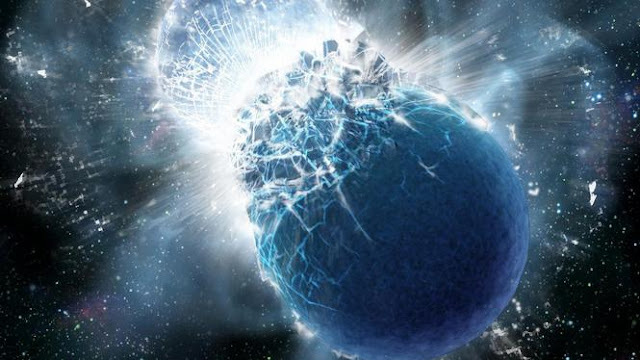 You know, the black hole creation isn't impossible because the chaotic collision of the pieces after the breakup of the neutron stars could resemble high-energy collisions." So it seems an interesting challenge to do research focussed on such smattered small Neutronstar black holes in galaxy halos as a base for dark matter effects and even for the origin of "tired light" effects around such small darkmatter halo black holes. Splitting Dark Matter Black Hole Big Bang as the Origin of Ultra-Energetic-Cosmic-Rays-From Far-Away. 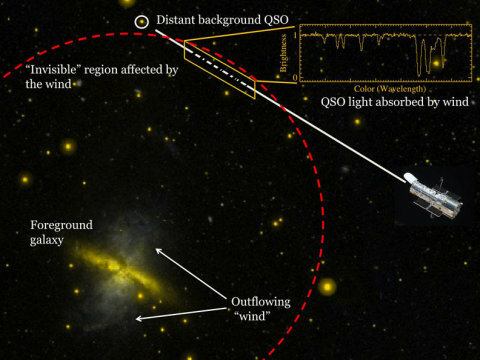 "This technique has revealed that the gaseous halos of galaxies as much larger and more massive than the distribution of stars within the galaxy.